A PLACE WITH EVERYTHING YOU NEED FOR A GREAT TIME! We’re located on the outskirts of Llucmajor, on 250 hectares of beautiful farmland where you can be at one with nature and enjoy the peace and quiet of the area, reeling among the almond trees, lemon trees and vineyards that surround our country hotel. Thanks to a good connection to the road network, the gorgeous beaches in the south of the island are easily accessed from Sa Bassa Plana. The clean and calm waters are characteristic of these beaches. The sea reflects an array of blue and turquoise tones that will leave you in awe. Its sand is white and fine and it is very common to find native plants nestled among the landscape. Here’s some information on places near the hotel that you definitely shouldn’t miss out on! Less than three kilometres from the hotel, you’ll find Cala Pí,one of the most spectacular coves in the south of the island. It gets it name from the pine forest surrounding it. The small old pier and its fine white sand bestow a special charm upon this cove. Road access is simple and there is a free car park, although you can also get there by bus. A set of steep steps lead us from the car park to Cala Pi, where we can enjoy a refreshing dip in its crystal clear waters. The sea cuts between two high cliffs that are more than thirty metres high before it reaches the cove, the most sheltered southern part of Mallorca’s coastline. 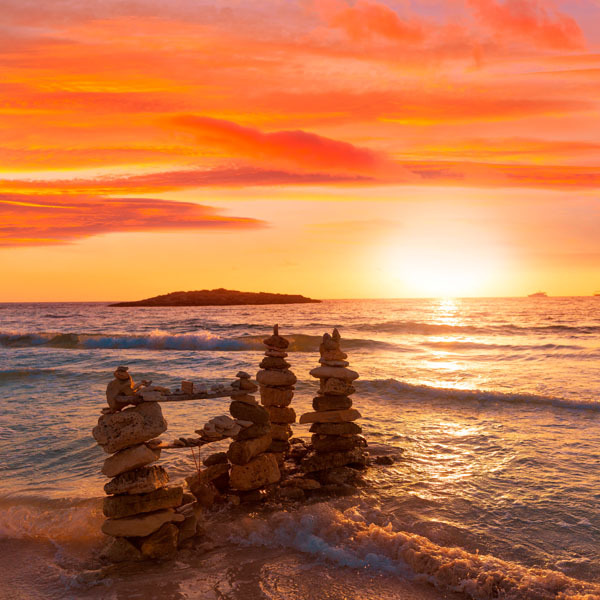 This means that Cala Pí is protected from the wind, so the sea is very shallow. A visit to the town of Llucmajor is priceless! While you are there you can visit the beautiful Sant Miquel Church, built at the end of the 18th century in a neoclassic style with baroque influences. There are more places of interest, for example, the tiny Nostra Senyora de Gràcia sanctuary, which dates back to the 15th century, or the King Jaime III monument which represents the monarch’s death in the Battle of Llucmajor. 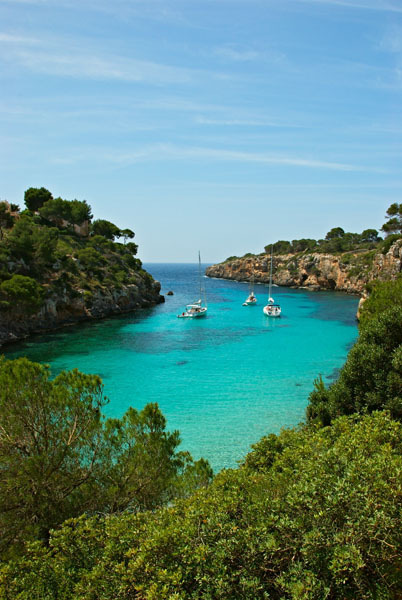 You mustn’t miss a trip to the Talaiotic town of Capocorb Vell, located less than two kilometres from the hotel. 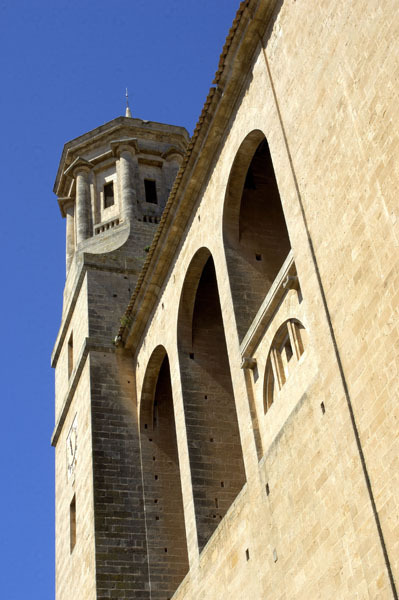 Declared a National Historical-Artistic Monument in 1931, it’s one of the most famous Talaiotic towns in Mallorca. Its twenty-seven rooms, its wall and huge talaiots won’t fail to impress you. This idyllic beach stretches over three kilometres and is undoubtedly one of the most beautiful beaches on the island. Declared a Natural Area of Special Interest to protect it from urban development, it’s the last sandbank left on the island. You’ll be stunned by the blue and turquoise tones of the sea and its crystal clear waters. The fine white sand has formed a series of dunes that separate the beach from the pine forest and the salt lake. Its 1490 hectares are home to 171 species. Among these you’ll find a variety of reptiles and mammals, but the most significant aspect in the area is its impressive bird life: osprey, western marsh harriers and redshanks are some of the sedentary birds that can be seen in Es Trenc. Thanks to its geographic location, other migratory birds come during different periods of the year like storks, flamencos and piet avocets, meaning the area is hugely attractive for ornithologists from all over the world. It’s a good idea to stay at the beach until dusk, because its sunset is not to be missed. A fantastic place to stay. I was there for two nights, but I could have stayed much longer! The staff are lovely, the area is very nice and peaceful. Everywhere was very clean. I’d recommend it to anyone. We spent 10 days in Sa Bassa Plana. It’s really peaceful, very clean and perfect for some rest and relaxation. We really liked it, and all its services, like the pool, restaurant and bar work very well.